Essential Oils - Explore our range of aromatherapy products! Base Formula supplies the finest, premium grade aromatherapy essential oils at fantastic prices. We have over 100 different essential oils within our collection, ranging from popular oils such as Lavender and Tea Tree through to the more exotic and unusual varieties. All of our aromatherapy essential oils are 100% pure and come uniquely batch numbered, date coded and with the country of origin detailed on the label. 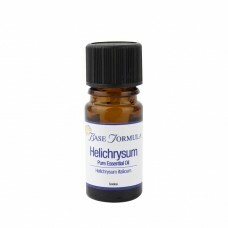 Our essential oils are available in one or more of the following sizes: 2ml, 5ml, 10ml or 50ml. 2-10ml sizes come in amber glass bottles and 50ml sizes are supplied in EP resin-lined aluminium bottles. Please note that all of our glass bottles are now supplied with tamper-evident caps, meaning that we no longer need to use the old plastic shrink-wrap sleeves as a security measure. We have compiled a detailed product profile for each aromatherapy oil which provides useful information to both professional aromatherapists and home enthusiasts alike. Click here to learn more about our therapeutic essential oils and how to administer them safely. Geranium (Bourbon) essential oil comes from the island, and former french colony, of La Réunion in t.. Geranium essential oil is steam distilled from the leaves, stalks and flowers of the Geranium plant ..
Ginger essential oil is steam-distilled from the unpeeled dried ground roots of the Zingiber officin.. Grapefruit essential oil is obtained by cold expression of the fresh fruit peel. It is one of the le..
Helichrysum italicum is a member of the daisy family. It is native throughout the Mediterranean but ..
Ho Leaf essential oil is a gentle oil that can help relieve fatigue, soothe the mind and balance the..
Hyssop essential oil is extracted from Hyssopus officinalis a herb that grows mainly in the Mediterr..
Juniper is an evergreen green shrub with bluey-green, needle-shaped leaves. Juniper trees are native.. Lavender (Croatia) essential oil has stronger antiseptic properties compared to other varieties of L.. Lavender (French) essential oil can be used to treat a plethora of physical and emotional condi.. Lavender (High Altitude ) essential oil has the finest aroma of all lavender oils. It is g..
Spike Lavender (Lavandula latifolia) is native to France, Spain, Italy and the Balkans. The plant gr..
Lavendin essential oil is a cross between true Lavender (Lavandula angustifolia) and Spike Lavender .. Lemon essential oil is cold pressed from the outer part of the fresh fruit peel. It takes approximat..
Lemongrass is a fast-growing, tall, aromatic, perennial grass which grows up to 1.5m high. Lemongras..
Limes originated in Asia but are now cultivated in most warm countries, especially Italy, the West I.. The Mandarin is a member of the orange family. Green Mandarin essential oil is cold pressed from the.. The name Mandarin, comes from the fruit that was a traditional gift to the Mandarins of China. There.. The Manuka plant is native to New Zealand and southeast Australia. It is a bushy, shrub with flowers..
Marjoram is a bushy herb native to Mediterranean regions. The herb has oval leaves and sma..
Wild Marjoram essential oil is steam distilled from the leaves and flowering tips of Thymus mastichi..
Litsea cubeba (May Chang or Exotic Verbena) essential oil is obtained from the small, pepper-like fr..
Melissa, also known as Lemon Balm, is a sweet-scented, perennial bushy herb with small white or pink..
Myrrh is a small tree/shrub with knotted branches, aromatic leaves, and white flowers. 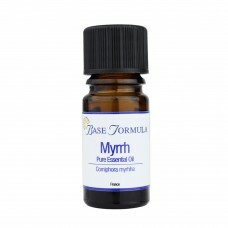 Myrrh essenti.. Essential oils are extracted from aromatic plants that produce fragrant essences located in tiny secretory cells in various parts of the plant. These natural essences can be found in flowers, leaves, twigs, berries, seeds, roots, peel, resin, bark or wood. Tea Tree for example comes from leaves and twigs, Lavender from flowers, Lemon from peel and Sandalwood from wood. The plant uses these magical essences for many of the same things that we use them for, such as fighting infection, healing wounds and repelling insects. They are therefore often described as the aromatic heart, life force and soul and spirit of the plant! When an essence is extracted it undergoes subtle chemical changes, turning it into an essential oil. 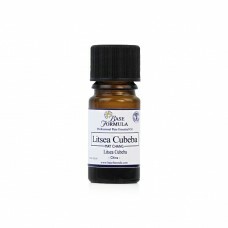 Essential oils are highly complex, powerful substances, with each oil containing more than 100 different chemical compounds that combine to produce a unique set of therapeutic properties. Essential oils can be extracted from aromatic plants via three main methods. Distillation: The aromatic plant material is heated via water and/or steam until a vapour is formed. The vapour is then condensed back into a liquid which contains the active chemicals from the plant. Some of these natural chemicals are ‘oily’, and as oil and water don’t mix, the essential oil floats to the surface and can be separated off. The remaining water is known as a hydrolat or hydrosol and can also be used for therapeutic purposes. Expression: This method is also known as ‘cold pressing’ as no heat is involved. It is most commonly used to extract essential oils from citrus fruits. The method involves mechanically puncturing the rind of the fruit to release the essential oil. Water is sprayed over the fruit to collect the oil and this solution is then filtered and centrifuged to extract the pure oil from the water and other solids. This method produces high quality oils with aromas that are almost identical to the fruit itself. Solvent extraction: This method is used for the most delicate plant materials that aren’t suited to distillation, or where the plant material contains only very small amounts of essential oil. It involves the use of solvents such as petroleum ether, ethanol, methanol or hexane to dissolve and extract the plant’s fragrant compounds as well as other botanical material such as fats, waxes and pigments. This yields a thick and waxy substance that is known as ‘concrete’. The concrete is then treated with alcohol to extract the oil which is known as an ‘absolute’. Absolutes are more concentrated than essential oils both in their aroma and therapeutic powers and should be used in low concentrations. Essential oils possess a wide range of therapeutic benefits that can help balance and heal our mind, body and soul. They can be used to boost our energy levels during the day, relieve anxiety and stress, aid relaxation, sleep better at night, boost our immune system, fight infection, ease pain, care for our skin, keep our homes clean, and much more. And, unlike modern medications, these naturally therapeutic oils have no nasty side-effects if used correctly. Essential oils enter the body via inhalation (i.e. breathing them in) and by absorption through the pores of the skin. Once inside the body they circulate via the bloodstream and travel to the different organs and body systems where they can start to take effect. Massage is one of the most effective ways of using essential oils, as the power of touch actually enhances the healing potential of the oils. The essential oils should always be diluted in a carrier oil prior to application. Other popular uses include: baths or showers, vaporisation (in a candle burner or aromatherapy diffuser), inhalations, or in creams, lotions and gels to improve the condition of the skin. Click here for more detailed information. Essential oils are not just used for aromatherapy. They can also be used in fragrancing, cosmeceutical, food and drink, and other industries. Whilst these other industries may use lower quality essential oils, or constituent elements of the oils, the oils used for aromatherapy and natural skincare should always be of the purest, highest quality in order to be therapeutically active. Poor quality essential oils do not have the same therapeutic effects as high quality oils. They may have been distilled from poor crops, they may have been handled incorrectly, they may be old/oxidised, or they may have been adulterated in some way (this means that distillers or essential oil suppliers may have added chemicals or other oils to make them cheaper or easier to supply). Oils that have been adulterated or tampered with are no longer pure, whole, natural substances and will therefore not work in the same way as a 100% pure, high quality oil. They may even cause harmful side-effects. 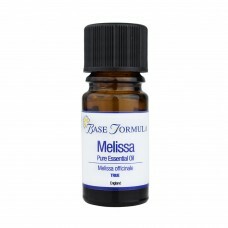 When using essential oils therapeutically it is crucial that you only buy 100% pure, premium quality, essential oils from a reputable and established aromatherapy supplier such as Base Formula. We guarantee that all our oils are 100% pure and unadulterated and will always detail the botanical species, chemotype and country of origin. As members of the Aromatherapy Trade Council our oils are subject to random testing at independent laboratories to ensure they're of the purist quality. We can also provide Gas Chromatography Analysis on request (subject to availability). Essential oils are highly concentrated, powerful liquids that can be toxic if used incorrectly. Please read our general safety advice to ensure that you use them safely and effectively. Essential oils should be kept in either UV filtering, dark-coloured glass or resin lined metal containers (usually aluminium) and stored away from light and heat. The bottle caps should be replaced immediately after use and kept tightly closed to prevent oxidisation. An ideal storage temperature range is between five and 10 degrees celsius which should be kept as constant as possible; the salad compartment of a fridge is ideal, particularly for the more volatile top note oils.